Clouds. 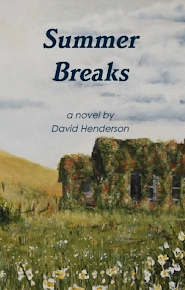 You never miss them until you spend days without a single one. Arizona cacti, in case you doubted its existence! Haha! #dwightscheesesticks - a midmorning snack! Passed out cold after a full day at #disneyland!! The #disneyland Castle! We had a great time! The farce is strong with this one! Hollywood tour selfie with kiddo photobomb! View about 30 miles outside Albuquerque. Cool underpass features in New Mexico. Some of the cool cars at the gas station museum! Not a lot to see, just outside Memphis... Texas, that is. This is what vacation looks like! I tried to launch iMovie and it told me it was being updated. I hopped over to the "Updates" section of the App Store, and iMovie was nowhere to be seen as far as needing updated. So, I just searched the App store for iMovie and sure, enough, it showed that iMovie was presently being installed. No, it wasn't. At least, not that I could tell. So, I started poking around online, and though many people have/had the same problem, none of the offered solutions worked for me. So, I dug deeper on my own MacBook. A look through running programs revealed that neither updates nor iMove were running. What the heck!? Okay, so I looked at the Applications folder. 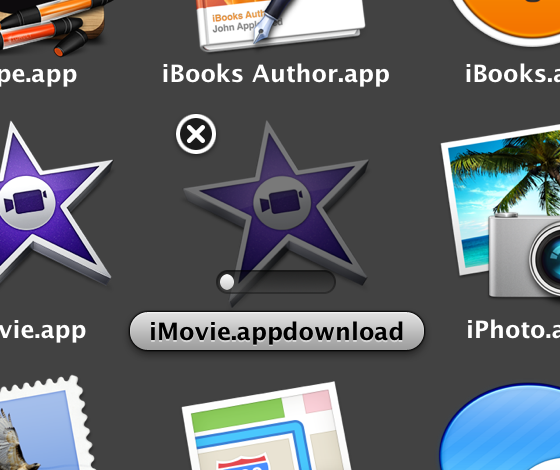 Sure enough, there was an iMovie icon that appeared to be a download in progress. It had an "X" to click, so I did. That launched the App Store with a prompt to "Cancel Update." So, I clicked that. Ironically, what that did was actually kickstart the iMovie update again. Almost time for Trisha and Nick's wedding! We had to go around the room to find "dates." I have no idea what she was talking about, but other folks in the room were familiar with the process. Leadership styles handout with four categories. Participants were asked to rank them in order from "most like me" to "least like me." Use the colors to help put people in the positions that suit them best. Have a team made up of all colors, focus on the goal of the team. 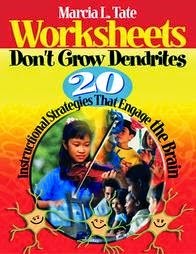 "Sit and Get Won't Grow Dendrites" - teaching the adult learner. Folks signing in at #edsymposium in Hope, AR! Kannon enjoying dessert; not the picture-taking.